Launched October 2016, the site features their full product catalog and gives B2B customers access to an online payment portal for invoices. This gives both B2B and B2C online shoppers the same level of customer service as they would receive at their retail store in Annapolis, Maryland. 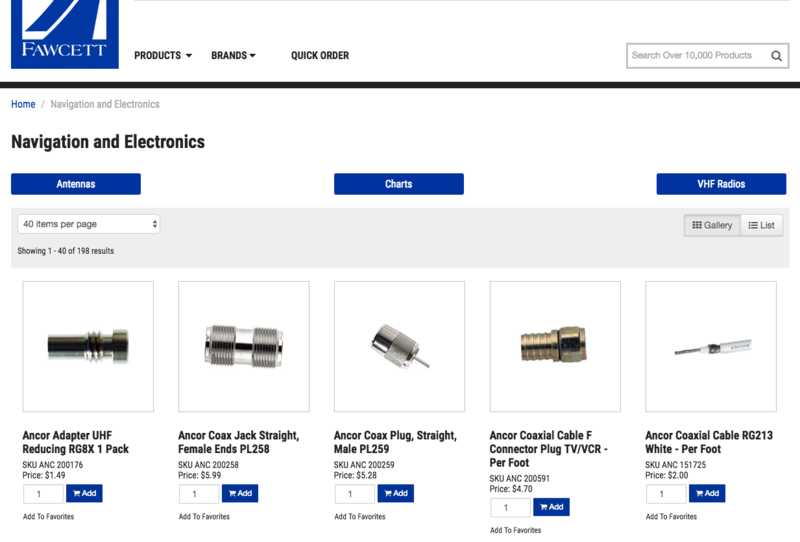 Website Pipeline specializes in building websites that are integrated with a customer’s ERP system; this focused integration will allow Fawcett to take on higher sales volume, better serve their customers, and eliminate errors in order entry and fulfillment. Reflecting their commitment to providing the highest level of customer service, Fawcett has implemented a vaulting system to ensure maximum security and protection of customer information on all credit card transactions. 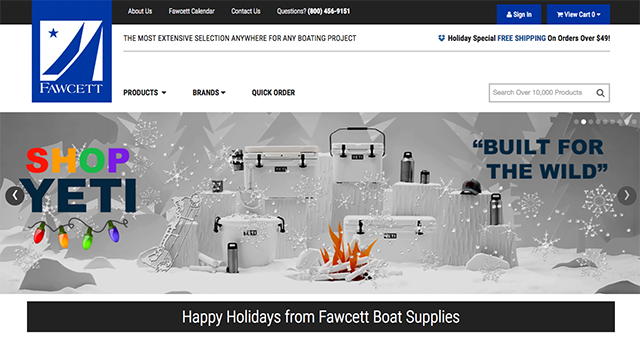 "We worked with Fawcett Boat Supplies to create an e-commerce web presence that gives customers convenient access to their extensive selection of marine and boating products," explains Website Pipeline Project Mangager Robby Flair. 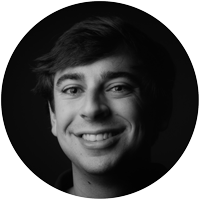 "By teaming up with Website Pipeline and extending their product offering online, they are taking their locally owned, independent business to a whole new level." Fawcett continues to be an independent business, locally owned and operated. Operating from their new facility in Annapolis, Maryland, Fawcett serves customers throughout the Chesapeake Bay region, the US, and the world. Boatyards, riggers, cruisers, live-aboards and racers have relied on Fawcett since 1948. A singular focus on quality makes Fawcett unique and the first choice for many. Quality is the reason why Fawcett is proud to have earned the designation of a Gill's 5-Star dealer and one of 16 Harken Suppliers. At Fawcett, you'll find the most extensive selection anywhere for any boating project - whether it's electrical, rigging, maintenance, performance hardware, or an upgrade to your galley or cabin. The company's suite of cloud-based customer interaction management solutions helps wholesale and manufacturing companies using Sage or Microsoft Dynamics ERP systems to get, keep and grow more customers. 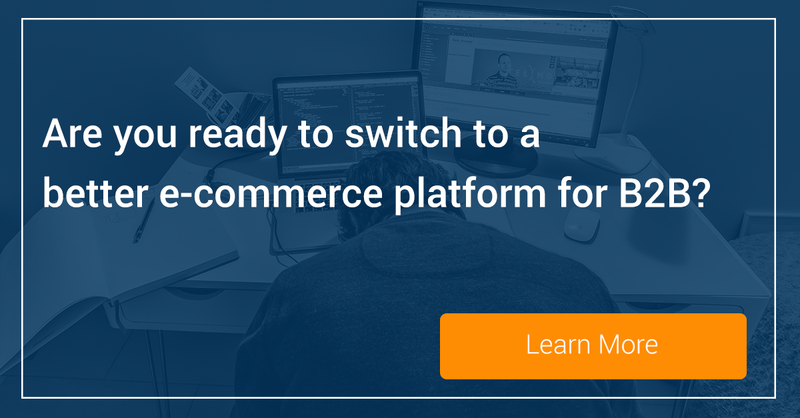 Solutions include B2B + B2C e-commerce, customer portals, sales rep tools, and API connections- all of which are fully integrated with a company's existing ERP platform.